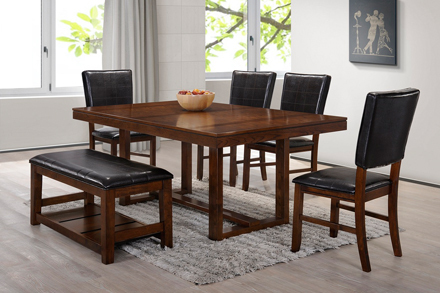 With more than 10 years of export excellence, we are engaging in wide ranges of furniture, including dining furniture; counter height furniture, commercial furniture, occasional sets, and etc. Our customer base has covered more than 60 countries worldwide from Europe, North & South Africa, Canada & USA, Mexico, Central & South America, and etc. The Luie Chair is made from fabric / faux leather with a solid wood construction. The legs of the chairs have an espresso finish and the upholstery is available in multiple finishes. 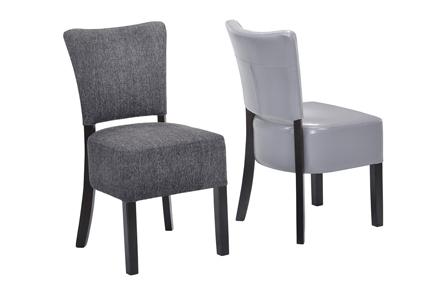 This chairs with upholstered, tufted and welted back and seat, has a suitable padding for utmost comfort. 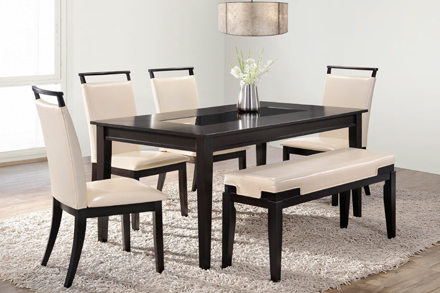 The rich brown finish of the TS Jovina dining collection beautifully covers the straight-line contemporary design while perfectly complementing the white oak pattern veneers and stylishly stitched polyurethane upholstered seat cushions to create a comfortable dining collection that fits flawlessly in any décor. 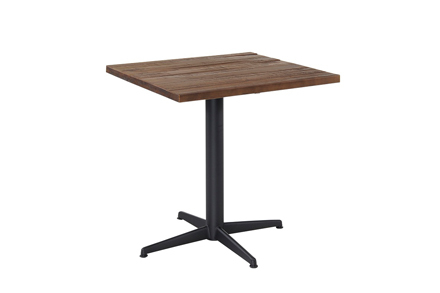 TS Swensen commercial tables are an affordable alternative for your rec room, bar, or restaurant. Table bases are commercial quality and are easily assembled. New Zealand pine wood top feature with rustic & distressed feel. Solid wood top for commercial heavy duty used. Table top with insert glass centerpiece for nailing art of contemporary design. This set is finished in gorgeous dark brown color with matching cushioned upholstery chair along with a bench to add alternative seating.